Many people are under the false impression that marijuana addiction is less serious and harmful than other addictions, and unfortunately, this has led to some level of acceptance in a lot of the population. We see a very disturbing and dangerous trend, even within our weekly sitcoms on TV, promoting the use and acceptance of marijuana and painting it in a light of humor. For example, I quit watching Two and a Half Men, because of their blatant scenes with teenagers smoking marijuana, and I was forced to give up on 2 Broke Girls because of their frequent focus on marijuana use, which is very disappointing, because I used to enjoy both of these shows. I don't think this is the message that our sitcoms should be carrying. Gone are the days when good values were promoted in our evening TV shows. This distorted perception is largely because in comparison to the effects of other drugs like cocaine, heroin, meth, crack and even alcohol, that are very obvious to everyone around them, the effects of marijuana addiction are less apparent and thus gives the illusion that it has less life-damaging impact. There are no hangovers to contend with, people don't typically die or overdose from smoking pot, there is not an increase in propensity for violence or criminal behavior and there is less deterioration in physical health, than we see in alcohol or other drug addiction. It appears on the surface that there are less negative consequences with marijuana addiction, but that is not really the case. As anyone who has been addicted to marijuana knows, she is a master of sweet seduction and deception. Her effects are much more subtle and difficult to put your finger on, which in some ways makes it more dangerous. It happens slowly and you don't even realize it until its too late. Most of the consequences are experienced on an internal level of the user, largely in the psychological, cognitive and spiritual arenas. At one time, even addiction treatment centers believed that marijuana was not addictive. When I was in treatment for alcohol and drug addiction in 1988, the consensus was that marijuana wasn't addictive on a physiological level, but I knew better, because it had been my one of my beloved drugs of choice for many years and was just as difficult to give up as alcohol and benzodiazepines. What we know now is that marijuana does indeed affect neurotransmitters in the brain, is highly addictive, results in significant changes in perceptions, moods, and behavior, stunts psychospiritual growth and maturity and diminishes our ability to function optimally in the world, like any other psychotropic substance. Not only that, marijuana impairs memory and cognitive functioning, disrupts hormones and is significantly higher in tar than nicotine, which means an increased risk of emphysema. In your brain, you have a type of neurotransmitter called endocannabinoids. The one that is most well understood is anandamide. The word anandamide was taken from Sanskrit, an ancient ceremonial language of India, which loosely means "bliss" or "delight." Unlike most neurotransmitters, endocannabinoids work by dampening down the effects of other neurotransmitters, which is called “retrograde signaling.” In other words, they achieve their effects by downregulating other neurotransmitters, which slows everything down. For example, endocannabinoids land on neurons that release GABA, serotonin and dopamine and inhibit their effects. This is the complete opposite of the way all other neurotransmitters work. Cannabinoids are fat soluble which allows them to linger in the body for longer periods of time. Marijuana contains a substance called THC, which is short for tetrahydrocannabinol, an artificial endocannabinoid that resembles our anandamide and therefore it has the ability to occupy receptors in the brain that are designed for the natural cannabinoid neurotransmitters. So when you smoke marijuana, THC stimulates and mimics your natural endocannabinoid receptors. In other words, anandamide is almost like the brain's natural marijuana. Endocannabinoids affect sensory and time perception, pleasure, appetite, pain, coordination, concentration, memory, thought, movement, judgment and decision making, thus, why marijuana has such a wide range of effects on the mind and body. However the effects of the artificial cannabinoid are much more potent and powerful than your natural endocannabinoids. With the downregulation of other neurotransmitters, they can practically stop the stream of consciousness, which provides the feeling of profound inner peace and intense mellowing out that makes the marijuana high so enjoyable. The more THC present in marijuana, the more potent its impact and the amount of THC present in marijuana has been continually increasing since the 1970s. So marijuana that is smoked today is much more powerful than what people were smoking in the 1960s and 1970s. As is the case with all neurotransmitters, artificial stimulation of receptors results in a decrease of the brain's production and responsiveness to the natural neurotransmitter. Marijuana also causes the release of a high level of dopamine when it is used. Dopamine is a neurotransmitter that allows us to feel pleasure, joy, motivation, focus and attention. When dopamine is released in excess, it results in intense euphoria - known as the "high". However, when released in excess repeatedly, the brain adapts by reducing the number of dopamine receptors, which results in depletion of dopamine. When you don't have enough dopamine, then you have an impaired ability to feel joy, pleasure, motivation, focused and attentive. In either case, this means marijuana tricks the brain. The brain thinks the artificial endocannabinoid is natural, which makes it think it has too many, so it either stops producing them or reduces receptors. When it stops producing them or reduces receptors, then the neurotransmitter is not available to perform its duties unless the artificial neurotransmitter is consumed, and thus why cravings for marijuana and withdrawal will ensue when it is not in the system. 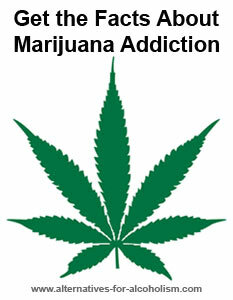 More and more of the substance will be required, which is called tolerance, and then marijuana addiction develops. You will see proponents of marijuana use claim that it isn't harmful because it contains substances similar to our endocannabinoids, but they do not understand brain chemistry. The fact that marijuana contains artificial endocannabinoids is the very reason it is addictive and destructive. The artificial stimulation of endocannabinoids, or any neurotransmitter, disrupts the normal production and function of the natural neurotransmitters, resulting in brain dysfunction and dependence on the substance to replace what is lost with the depletion in neurotransmitters. It is crucial to be aware that low levels of neurotransmitters like serotonin, dopamine and GABA is also the root cause of other issues like depression, anxiety disorders, OCD and other mental health conditions. Thus, why many people who smoke marijuana also have these symptoms as well. They often believe that marijuana helps alleviate their depression or anxiety, when in reality it is making it worse. Although marijuana initially helps "numb" them out by anesthetizing the undesirable mood state, it guarantees that they will never overcome depression, anxiety, etc. by depleting their neurotransmitters even more and making them more dependent on marijuana to modulate their moods. Marijuana addiction can be both the cause of depleted endocannabinoids or dopamine disruption and the result. Endocannabinoids are synthesized from arachidonic acid and lecithin. Arachidonic acid is a component of animal fat and butter and lecithin is found in foods like eggs, organ meats, and sunflower seeds. Because most of the population is now consuming a low-fat, low-cholesterol and junk food diet, these important foods are missing from their meals. This diet also does not provide the brain with the nutrients it needs to form dopamine either. That means much of the population is not acquiring the amount of arachidonic acid, lecithin and other nutrients needed so their brain can form their own natural endocannabinoids and dopamine adequately and thus why such a large part of the population is attracted to marijuana. Marijuana is an artificial endocannabinoid that temporarily provides them relief from the symptoms they experience because of the lack of endocannabinoids and/or dopamine, by providing artificial stimulation to the endocannabinoid and dopamine receptors. However, in the long run, it perpetuates the problem because it leads to even more disruption and depletion. Lecithin is also essential in the synthesis of acetylcholine, another very important neurotransmitter that regulates memory, cognitive function and the autonomic nervous system, so when the diet is void of lecithin, you won't be producing enough acetylcholine either. Nicotine mimics acetylcholine in the brain, in the same manner that marijuana mimics anandamide and thus, why so many people who smoke marijuana also smoke cigarettes. Therefore, if you want to prevent nicotine and marijuana addiction in your children and teens, the best place to start is to ensure that their diets are rich in foods that contain arachidonic acid and lecithin, so their brain can form endocannabinoids and acetylcholine adequately and then they will be less likely to be drawn to artificial stimulation. This doesn't protect them form peer pressure, but it does at least remove one risk factor. There are many long-term effects of marijuana addiction due to the artificial stimulation of endocannabinoids, the downregulation of neurons and fatty acid deficiencies. Some parts of the brain, like the hippocampus, the cerebral cortex, the basal ganglia, and the cerebellum, contain more endocannabinoid receptors than others. So all functions associated with these parts of the brain can be impaired. increased risk of using harder drugs like cocaine, etc. Marijuana addiction prevents you from reaching your full potential as a human being. You are not fully alive and experiencing your emotions, feelings and all the life has to offer, and the saddest part of all is that most of the time you don't even realize what your missing. Long-term use of marijuana is associated with less satisfaction in life, lower education, less employment or career related achievements and higher levels of interpersonal difficulties. Fatty acid deficiencies are both a cause of marijuana addiction and a result. As we mentioned previously, a diet lacking in deficiencies leaves the brain vulnerable to marijuana, but smoking it can lead to depletion. Fatty acids are crucial for flexibility in cell membranes, in the movement, speed and strength of neurotransmitters from one neuron to another and the formation and repair of neurons. Therefore, fatty acid deficiency will not only impact endocannabinoids, but all other neurotransmitters as well. Depending on how and where the marijuana is grown, heavy metal contamination (arsenic, mercury, cadmium, lead, etc.) is a possibility as it may be in the soil, fertilizers or pesticides. Both heavy metals and tobacco may also be added intentionally to increase the weight of the product. Heavy metal toxicity is associated with a very long list of potential negative effects, both psychologically and physically, like depression, anxiety, bi-polar, Tourette's, insomnia, adrenal fatigue, autoimmune disorders, chronic fatigue, gastrointestinal disorders, endocrine disorders, impaired memory and cognitive functioning, learning disorders and more. Heavy metal toxicity also impairs one's ability to synthesize certain neurotransmitters. Furthermore, pesticides also inhibit neurotransmitter production and function. Some of the most frightening long-term effects of marijuana addiction are found in adolescents and children. Because it takes 20 to 25 years for the human brain to fully develop, the brain is very vulnerable during these years. Marijuana use during this time period can have a profound negative impact on brain growth and development, by inhibiting neuronal communication networks, which can result in long-term emotional and intellectual impairment. This is true of any psychotropic substance, but since there is the false perception in our society that marijuana is not so harmful and so many children and adolescents are turning to marijuana, it is of more concern. Marijuana use impairs the neuroplasticity of adults as well, but it is a bigger issue for the developing mind of a child. In addition to THC, (tetrahydrocannabinol) marijuana contains more than 400 chemicals, many of which get stored in tissue in your brain and your body and then are released back into the bloodstream at a later date; thus, why it takes 30 days to clear from the body and not show up in a drug test. THC can linger in the brain for a very long time; possibly taking several months for the brain to return to normal when one quits. Additionally, the occurrence of Candida in marijuana users (another condition that perpetuates addiction to alcohol and drugs) has been found to be even higher than those who smoke cigarettes. A study in the International Journey of Dental Hygiene states that health care providers should be aware of the cannabis-associated oral side effects, such as xerostomia (dry mouth), leukoedema (grey, blue or white mucosa) and an increased prevalence and density of Candida Albicans. Another study in the Journal of Oral Pathology and Medicine found an an "increased prevalence and density of C. albicans in cannabis users. A study from UCLA demonstrated that marijuana use decreases the ability of a particular type of white blood cell known as Pulmonary Alveolar Macrophages, to destroy Candida Albicans. While yet another study found that marijuana use inhibits neutrophil recruitment. Neutrophils, also a type of white blood cell used by the immune system to protect us from pathogenic invasion, is one of the most powerful weapons we have against Candida. In a study that involved 1248 women, one of the primary risk factors for vaginal yeast colonization was the use of marijuana in the previous four months. The key to overcoming marijuana addiction is the same as any other addiction, you must restore balance to the neurotransmitters in the brain. This can be achieved with changes in diet and lifestyle and nutritional supplements. First and foremost, you need to replenish the brain with arachidonic acid and lecithin so that it can begin to produce endocannabinoids on its own, and supply the brain with a variety of other nutrients that are needed to replenish dopamine and other neurotransmitters that may be depleted as well. Then you remove other foods, substances and lifestyle activities that disrupt neurotransmitters. When the appropriate steps are taken, cravings for marijuana and other addictive substances simply disappear and life-long recovery can be achieved. You can learn all the steps needed to overcome addiction to not only marijuana, but any other addictive substance, in my Clean and Sober for Life Jump-Start Program. 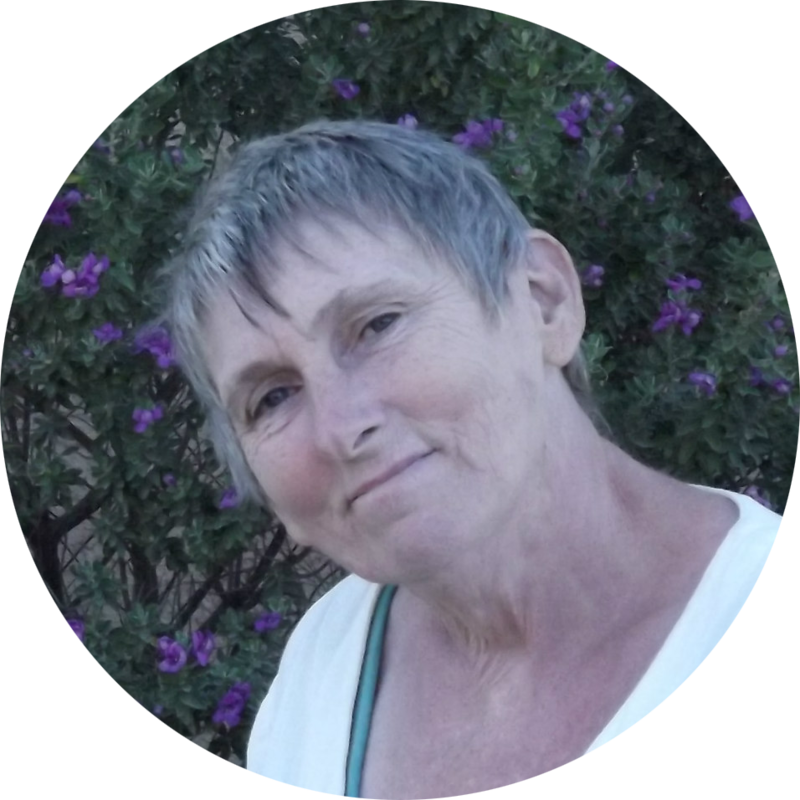 The principles in this program are what I have used to achieve craving-free and uninterrupted sobriety for many substances, including marijuana, alcohol and benzodiazepines, since 1988. I work with many people trying to overcome an addiction to alcohol, harder drugs or sugar who think it is okay to smoke "just a little marijuana." It is not. Addiction is addiction. If you continue to smoke marijuana, you keep the cycle of addiction active. You cannot overcome addiction of any other kind, if you continue to smoke marijuana, because it will not be possible to stabilize neurotransmitters. All addictions have the same roots -- disrupted or depleted neurotransmitters in the brain. If you do not already have a full-blown marijuana addiction, it is only a matter of time. Since you already have addicted brain chemistry, you will become a marijuana addict and eventually it will lead you back to your drug of choice. All psychotropic substances, both street and prescription, disrupt and deplete neurotransmitters in the brain and must be eliminated in order to overcome addiction of any kind. Also, keep in mind that everything we have discussed on this page applies to medical marijuana as well. It does not matter for what purpose you are using it, the effects of marijuana on the brain and the body are the same, regardless of whether it is labeled for medical use or not. Many marijuana addicted individuals are now using medical marijuana as an excuse to continue their addiction. It is being used for everything under the sun including things like anxiety, chronic pain management, insomnia, depression, stress relief, headaches and migraines. Using mind-altering drugs is never the answer for these kind of conditions. There are many other less destructive ways to relieve or manage these symptoms. Each of these types of conditions is caused by a depletion of neurotransmitters in the brain, and as we discussed above, marijuana further depletes neurotransmitters. Thus, it will only ensure that you will never overcome your anxiety, stress, depression etc., because it perpetuates the very symptoms you are trying to alleviate. You will become dependent on marijuana to keep these symptoms under control, but eventually as tolerance builds, the day will come when marijuana no longer does the trick and you will need something stronger. As I see it, the only time marijuana should be used medicinally is in an end-stage disease to ease the suffering as one approaches death and maybe a couple other very extreme medical conditions. It does not matter whether you have a prescription for your marijuana or your getting it off the street, it's still marijuana addiction no matter how you cut it. There cannot be optimal physical, emotional or spiritual health if you are self-medicating with marijuana or any other substance. Now, giving all that I've just said, you may assume that I am against the legalization of marijuana, but that is not the case. Although I don't believe anyone should be smoking marijuana, I also don't believe that anyone should be incarcerated for smoking marijuana. All adults should have the freedom to choose whether they want to destroy their mental, physical and spiritual health with mind-altering and addictive substances. This is not something the government should decide for us. It is about freedom and personal choice. Our tax dollars can be spent in a much more productive and useful way besides wasting it on drug wars that are impossible to win. As I see it, marijuana should be legal and regulated just like alcohol and cigarettes to protect our children, and use the tax money to help with our glaring financial economic crises across the nation. The drug addicted are not criminals, they are individuals with impaired brain chemistry and should be treated as such. Darling MR, Arendorf TM, Coldrey NA. Effect of cannabis use on oral candidal carriage. J Oral Pathol Med. 1990 Aug;19(7):319-21. Murikinati S, Jüttler E, Keinert T, Ridder DA, et. al. Activation of cannabinoid 2 receptors protects against cerebral ischemia by inhibiting neutrophil recruitment. FASEB J. 2010 Mar;24(3):788-98. doi: 10.1096/fj.09-141275. Epub 2009 Nov 2. Richard H Beigi, Leslie A Meyn, et. al. Vaginal Yeast Colonization in non-pregnant Women: A longitudinal study.